Sometimes it takes a big city to remind us how small we can live. Life has been hectic here the last month, with the end of school, a busy workload and a trip to New York City. My daughter headed there for a week at a pre-college program, I had three days on my own to visit family and friends, and my husband arrived for five days of non-stop activity. We are home now, and our 1,800 sq ft house seems huge after my 10 glorious days in a small city apartment. The borough of Manhattan, with more than 1.6 million people in just under 23 square miles, is a testament to tiny living. The challenges are met head-on in an exhibit at the Museum of the City of New York. 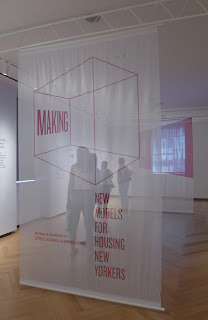 Called Making Room: New Models for Housing New Yorkers, it features a 325 sq ft studio apartment, a size prohibited in most areas of the city. The comfortable and beautiful micro-unit, as the apartment is billed, takes advantage of innovative, space-saving design and appliances that can morph throughout the day. People wandered in and out continuously as a museum staff member showed how each item did double, and sometimes triple, duty. What looked like a footrest turned into four chairs and a table. The TV slid to reveal storage and display space. A step-stool converted to a beautiful chair. Much like the tiny house movement, the ideas include new ways of thinking about what we need in a dwelling. From mini-studios for singles of all ages to add-on units for extended families, it is all about making room without taking up more room. I’m a native New Yorker, and the Museum of the City of New York was just one reminder last week of why I love the Big Apple so much. I would love to reserve a retirement micro-unit in Manhattan, hoping by then the zoning laws have changed to fit the times. For more pictures of the exhibit, see below. For info on the museum, see here. 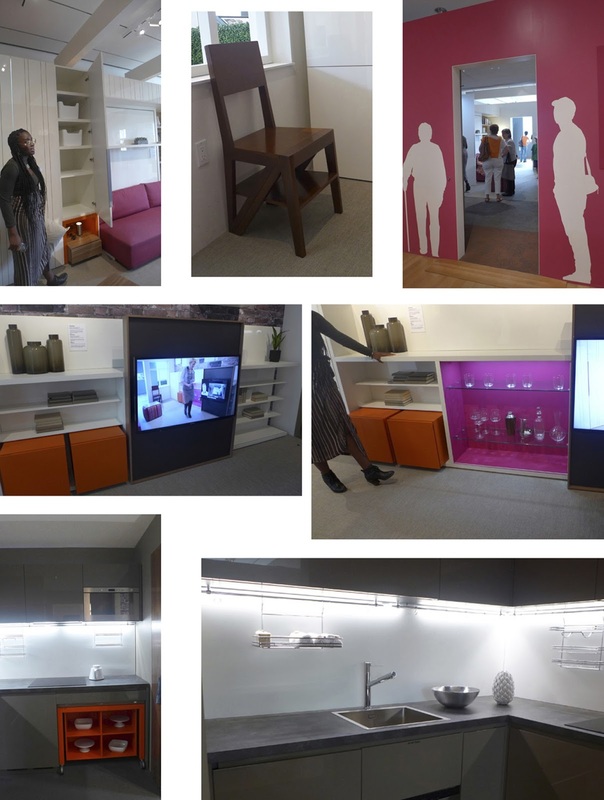 And for more on the Making Room initiative, see here and here.